Sharon Bradley, Visiting Nurse & Hospice of Fairfield County president and CEO, far right, enjoys a moment with Cathy and Darius Brubeck and Catherine Brubeck Yaghsizian at the tribute to Dave Brubeck in April. Friends and supporters of Visiting Nurse & Hospice of Fairfield County gathered at Woodway Country Club in Darien on Saturday, April 27, to celebrate the life and music of the late jazz great Dave Brubeck and raised more than $100,000 for the benefit of the patients of the agency. 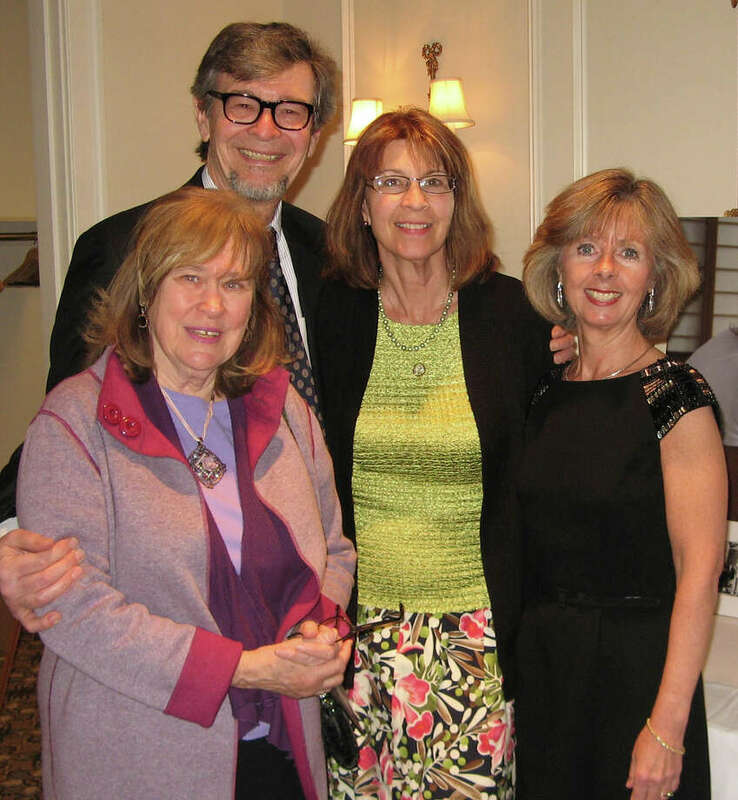 "The theme of this year's event was `Making a Difference' and we were pleased to be paying tribute to the legendary Dave Brubeck, who was a special friend of Visiting Nurse & Hospice of Fairfield County," said Judy Higby, event chairman. "We are grateful for his life, legacy, support and commitment to the important work of this agency and we honor his memory." The event was emceed by Diane Smith, Emmy Award-winning TV journalist, radio talk show host and author. Highlights of the evening included a musical performance by pianist Glenn Zaleski, a Brubeck Institute graduate, as well as a set of Brubeck's vocal numbers sung by Dianne Mower and Atla DeChamplain accompanied on piano by Matt de Champlain. Members of the Brubeck family were in attendance and Catherine Brubeck Yaghsizian spoke from the podium about her father and the care that he received from Visiting Nurse & Hospice of Fairfield County. A nonprofit community organization for more than 100 years, Visiting Nurse & Hospice of Fairfield County provides professional nursing and support services, senior care management, physical rehabilitation, health education, community wellness programs and compassionate hospice and palliative care for adults and children in Darien and throughout Fairfield County. The agency is supported by contributions from corporations, foundations and individuals.